The most important findings of scientific dream research can be summarized in nine key points. Many important questions about dreaming remain unanswered, but these nine findings have solid empirical evidence to support them. Rapid eye movement (REM) sleep is a trigger for dreaming, but is not identical with dreaming. All mammals have sleep cycles in which their brains pass through various stages of REM and non-REM sleep. Dreaming seems to occur most often, and most intensely, in REM sleep, a time when many of the brain’s neuro-electrical systems have risen to peak levels of activation, as high as levels found in waking consciousness. However, dreaming occurs outside of REM sleep, too, so the two are not identical; REM sleep is neither necessary nor sufficient for dreaming. REM helps the brain grow. The fact that REM sleep ratios are at their highest early in childhood (newborns spend up to 80% of their sleep in REM, whereas adults usually have 20-25% of their sleep in REM) suggests that REM, and perhaps dreaming, have a role in neural maturation and psychological development. Dreaming also occurs during hypnogogic, hypnopompic, and non-REM stage 2 phases of sleep. In the transitional times when a person is falling asleep (hypnogogic) or waking up (hypnopompic), various kinds of dream experiences can occur. The same is true during the end of a normal night’s sleep cycle, when a person’s brain is alternating exclusively between REM and non-REM stage 2 phases of sleep, with a relatively high degree of brain activation throughout. Dreams from REM and non-REM stage 2 are difficult to distinguish at these times. The neuro-anatomical profile of REM sleep supports the experience of intense visionary imagery in dreaming. During REM sleep, when most but not all dreaming occurs, the human brain shifts into a different mode of regional activation. Areas of the prefrontal cortex involved in focused attention and rational thought become less active, while areas in the limbic system (involved in emotional processing, memory, and instinctive responses) and the occipital lobe (involved in visual imagination) become much more active. This suggests that the human brain is not only capable of generating intense visionary experiences in dreaming, it has been primed to do so on a regular basis. The recurrent patterns of dream content are often continuous with people’s concerns, activities, and beliefs in waking life. This is known as the “continuity” hypothesis, and it highlights the deep consistency of waking and dreaming modes of thought. People’s dreams tend to reflect the people and things they most care about in the waking world. A great deal of dream content involves familiar people, places, and activities in the individual’s waking life. The dreaming imagination is fully capable of portraying normal, realistic scenarios. This means dreaming is clearly not a process characterized by total incoherence, irrationality, or bizarreness. The discontinuities of dreaming, when things happen that do not correspond to a normal waking life concern, can signal the emergence of metaphorical insights. Research on the improbable, unreal, and extraordinary elements of dream content has shown that, on closer analysis, this material often has a figurative or metaphorical relationship to the dreamer’s waking life. Metaphorical themes and images in dreams have a long history in the realm of art and creativity, and current scientific research highlights the dynamic, unpredictable nature of dreaming as an endless generator of conceptual novelty and innovation. Dream recall is variable. Most people remember one to two dreams per week, although the memories often fade quickly if the dreams are not recorded in a journal. On average, younger people tend to remember more dreams than older people, and women more than men. Even people who rarely remember their dreams can often recall one or two unusual dreams from their lives, dreams with so much intensity and vividness they cannot be forgotten. Dream recall tends to respond to waking interest. The more people pay attention to their dreams, the more dreams they are likely to remember. Dreaming helps the mind to process information from waking life, especially experiences with a strong emotional charge. From a cognitive psychological perspective, dreaming functions to help the mind adapt to the external environment by evaluating perceptions, regulating emotional arousal, and rehearsing behavioral responses. Dreaming is like a psychological thermostat, pre-set to keep us healthy, balanced, and ready to react to both threats and opportunities in the waking world. Post-traumatic nightmares show what happens when an experience is too intense and painful to process in a normal way, knocking the whole system out of balance. The mind is capable of metacognition in dreaming, including lucid self-awareness. During sleep and dreaming the mind engages in many of the activities most associated with waking consciousness: reasoning, comparing, remembering, deciding, and monitoring one’s own thoughts and feelings. Lucid dreaming is one clear example of this, and so are dreams of watching oneself from an outside perspective. These kinds of metacognitive (thinking about thinking) functions were once thought to be impossible in dreaming, but current research has proven otherwise. Dreaming has available the full range of the mind’s metacognitive powers, although in different combinations from those typically active in ordinary waking consciousness. Barrett, Deirdre and Patrick McNamara, ed.s. The New Science of Dreaming. Westport: ABC-Clio, 2007. Bulkeley, Kelly. Big Dreams: The Science of Dreaming and the Origins of Religion. New York: Oxford University Press, 2016. Domhoff, G. William. Finding Meaning in Dreams: A Quantitative Approach. New York: Plenum, 1996. Hurd, Ryan and Kelly Bulkeley, ed.s. Lucid Dreaming: New Perspectives on Consciousness in Sleep. Westport: ABC-Clio, 2014. Kryger, Meir H., Thomas Roth, and William C. Dement, ed.s. Principles and Practice of Sleep Medicine. Fourth Edition. Philadelphia: Elsevier Saunders, 2005. Maquet, Pierre, Carlyle Smith, and Robert Stickgold, ed.s. Sleep and Brain Plasticity. New York: Oxford University Press, 2003. Pace-Schott, Edward, Mark Solms, Mark Blagrove, and Stevan Harnad, ed.s. Sleep and Dreaming: Scientific Advances and Reconsiderations. Cambridge University Press, 2003. Pagel, James. The Limits of Dream: A Scientific Exploration of the Mind/Brain Interface. New York: Academic Press, 2010. Solms, Mark. The Neuropsychology of Dreams: A Clinico-Anatomical Study. Mahway: Lawrence Erlbaum, 1997. The episode takes its title from this quote, which poetically highlights the dangers inherent in exploring the “vasty deep” of lucid dreaming. Be careful what you wish for with dreaming, because it might become a more powerful and autonomous reality than you were expecting. It has to be a great TV show if I’m quoting Shakespeare and Nietzsche and I haven’t even gotten to the oneirogenic blues LP, the two big guys in black suits with no faces, the ethical complexities of gathering pure scientific data, and the deepening mystery surrounding Topeka, “a good place to dig for roots.” I’m hooked, most definitely hooked! Below is what I wrote in the Huffington Post after watching the first episode. Finally, someone gets it right: a television show about dreams that feels genuinely dreamy. “Falling Water,” a new series on the USA Network premiering October 12, centers on three characters (Tess, Burton, and Taka) who learn how to enter a dangerous, shadowy world of shared dreaming. I just watched the first episode (available online), and I’m very, very impressed! After years of complaining about lame, painfully unimaginative portrayals of dreaming in television and movies, I can now say there is a TV show that accurately, and entertainingly, conveys many of the sensory qualities and content themes that typify actual dreaming. 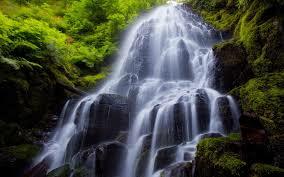 Foremost among those themes is, as the title suggests, falling water. I won’t reveal any plot twists, nor will I describe in too much detail the many beautiful images of water in the first episode, but suffice it to say that the element of water is essentially another character in the show. It flows in many different directions, over various surfaces and bodies, and ultimately down into mysterious depths. As a quick search for “water” words in the SDDb reveals, this element is indeed a very prominent feature of people’s dreams, and it has a long history of multi-dimensional symbolism. It will be fun watching future episodes to see how this theme develops over time. Another prominent theme has to do with visual experience. Eyes, windows, mirrors, glasses, and other reflective surfaces abound in the first episode, creating a kaleidoscopic perceptual atmosphere for the characters and viewers alike. Visual sensations are also very prominent in actual dreaming, and in my recent Big Dreams book I talk about the roots of visual dreaming in terms of hard-wired neural activities in the sleeping brain. I refer to an “autonomous visionary capacity” that is innate in all humans and capable of generating powerful, creative, and highly realistic visual experiences in dreaming. The premise of “Falling Water” seems to be that people can potentially cultivate that inner capacity for powerful visionary dreaming and channel it in specific directions. It’s an exciting and reality-based premise that opens up lots of narrative possibilities for future episodes. The theme of trying to control one’s dreams raises unsettling ethical issues that religious and spiritual traditions around the world have debated since ancient times. 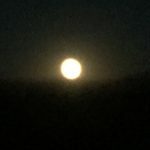 Are methods and tools of dream control a way of enhancing and amplifying the dreaming process, or do they ruin dreams by imposing the shallow desires of the waking ego on the wisdom of the unconscious psyche? Could more control of our dreaming promote greater self-knowledge, emotional health, and problem-solving abilities, or is it a harmful violation of our inner world and a potentially destructive way of exploiting people’s deepest fears and vulnerabilities? Perhaps most worrisome of all, if we forcefully try to control our dreams, are we ready for the possibility our dreams will fight back? These questions are becoming even more urgent today, thanks to the emergence of a new generation of dream-stimulating technologies (exaggerated, but not by much, in the show). The final scene of the first episode raised the specter of a “war” for control of our dreams, and I’m curious to see how that alarming notion plays out. This might sound like science fiction, and it is exactly that, science fiction at its best: a dramatized version of cutting-edge scientific findings, technological innovations, and cultural trends whose real-world consequences are just dawning on us. We are living in a world where various forces, some benign and others much less so, are competing for influence over our minds, in waking and in sleeping. “Falling Water” is poised to reflect that emerging reality back to us in a fictional medium that, paradoxically, will probably have a tangible impact on the real dreams of its viewers. Having watched a lot of dream-related movies and television shows over the years, I can’t help but notice several visual and thematic references in “Falling Water,” all of which bode well for it future direction. Most viewers will immediately associate the show’s premise with the 2011 film Inception and its portrayal of skilled agents entering into other people’s dreams and trying to manipulate them. 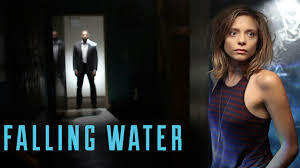 But “Falling Water” seems to be aiming for something bigger, more along the lines of the 1999 film The Matrix, with its mind-bending metaphysical combat and prophetic call for a new, more advanced kind of consciousness. More than either Inception or The Matrix, however, “Falling Water” goes deeper into the creepy depths of the collective unconscious, with an occult mystery theme that reminds me of the first excellent season of the 2014 TV show “True Detective.” Some of the visuals and epistemological paradoxes in “Falling Water” are strikingly reminiscent of the 1988 film “Jacob’s Ladder,” which used the Tibetan Book of the Dead as a template for describing a soldier’s journey through a nightmare world located somewhere between life and death. And there are several parallels to the Nightmare on Elm Street series of films, starting in 1984, which used schlocky special effects to dig deeply into the dark, festering corners of the American psyche. A striped shirt appears on a key character in “Falling Water,” which does make one wonder. The touchstone for any show like this is always “Twin Peaks,” the David Lynch television series from the early 1990’s, which is set to reboot with new episodes soon (!!). “Twin Peaks” featured a dream-inspired FBI agent who tracked down an evil entity haunting people’s minds and forcing them to violate the laws and morals of the waking world. In its incredible beauty, emotional rawness, and surrealistic whimsy, “Twin Peaks” portrayed aspects of genuine dreaming in a more compelling way than perhaps America was ready to handle at the time. The first episode of “Falling Water” does not have any of the levity and comical weirdness of “Twin Peaks,” which may be a good thing at the start (no dwarves in red suits) but will hopefully appear in some form in later episodes. There’s bound to be lots of falling in this show; will there also be flying? 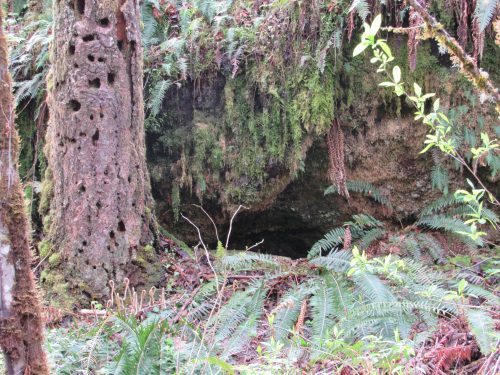 This essay is based on a presentation I gave at the Oregon Museum of Science and Industry on April 13, 2016, as part of OMSI’s “Reel Science” series in which a lecture precedes the showing of a popular movie. 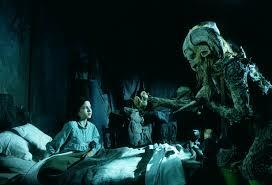 My lecture involved the science of lucid dreaming, and the film was Guillermo del Toro’s “Pan’s Labyrinth” (2006). A simple definition of lucid dreaming is this: the experience of consciousness or self-awareness within the dream state. Sometimes it includes a greater sense of intentionality or control—the dreamer has some ability to change or alter what’s happening in the dream. Here are some statistics about the frequency of lucid dreaming among the general population, drawn from the two-volume anthology Ryan Hurd and I edited in 2014, Lucid Dreaming: New Perspectives on Consciousness in Sleep. We also have some research on the content of lucid dreams, and what makes them distinctive from ordinary dreams. In general, lucid dreams are not radically different from ordinary dreams; they both share the same basic substrate of dreaming experience. In this sense lucid dreaming is an extension of what’s already going on in ordinary dreaming. We do not need to invoke a separate psychological system to explain what happens in lucid dreaming. These are tendencies, not absolutes, so they don’t apply to every individual experience. But they make sense in that lucidity often emerges during nightmares (physical aggression) or when the individual encounters something bizarre or anomalous (flying, fantastic beings), and the dreams often do lead away from the normal social world into strange, unfamiliar places. The frequency of lucid dreaming is not set in stone. As several researchers have found, gaining conscious awareness in dreaming is an ability that may first appear spontaneously, but can also be trained like a cognitive skill, and guided with some degree of precision. In the past few years a number of electronic devices have been invented and marketed as tools for lucid dream induction, with several more such devices in development. These devices represent high-intensity and rather aggressive approaches to lucid dreaming. They can get results, at least for some people. But I wouldn’t recommend them for use before considering some of the other methods we’ll discuss towards the end. Let’s step back for a moment and acknowledge the fact that lucid dreaming may be a new phenomenon to modern Western society, but it has a long and venerable history in many other cultures. Going back to the 7th century BCE, the Upanishads of Hinduism referred to dreaming as a space of infinite illusions where the skilled meditator was able to recognize the self-created nature of dream reality. This insight in dreaming was considered a key step toward recognizing the self-created nature of all reality, in all states of being. Buddhism is filled with teachings about lucid dreaming. The twelfth century CE Tibetan Buddhist master Naropa developed a systematic method of inducing lucid dreams. Significantly, the teachings about dreams began after the student had mastered the earlier teachings on Inner Heat and the Illusory Body. In this tradition the entry into lucid dreaming occurred within a well-developed context that helped the student safely process the potentially destabilizing effects of deliberately altering the functions of one’s mind. In classical Western antiquity, Aristotle in the 4th century BCE mentioned dreams in which people had some knowledge of being in a dream state. And in the 4th century CE the Christian theologian Augustine used the example of lucid dreams as a way of arguing for the reality of the soul and its independent existence apart from the body, in sleep or in death and the afterlife. In Islam, Muhammad’s “night journey” in sura 17 of the Qur’an has many aspects of a lucid dream. Sufi Muslims to this day engage in lucid dreaming practices as a means of learning esoteric spiritual doctrines. So that’s a good reminder that amidst all the positive spiritual insights of lucid dreaming, there is also a destructive potential where the enhanced abilities of consciousness can become weaponized and used in violent efforts to defeat a rival. All of these historical and cross-cultural references do more than just embroider the edges of scientific research. They reveal an important fact about human psychology: people in virtually all cultures and civilizations have recognized that lucid dreaming is a valuable potential of the sleeping mind. This is evidence that a capacity for self-awareness in dreaming is innate in the mental architecture of our species. 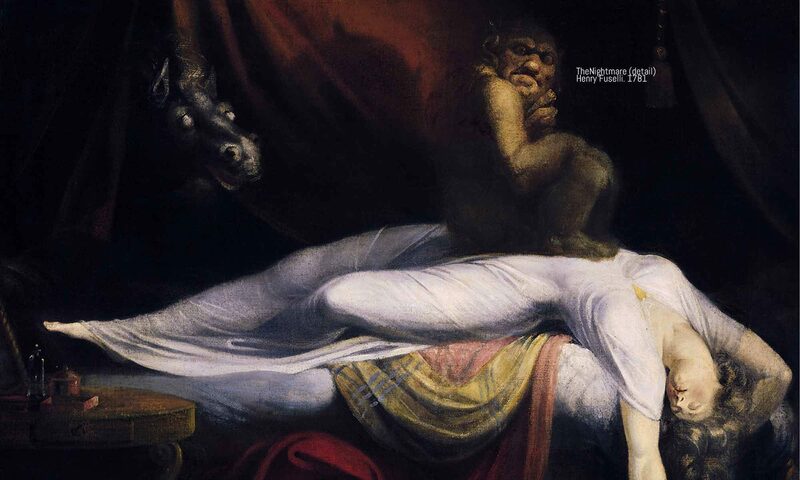 Variations in occurrence: Lucid dreaming can occur in REM sleep and threshold phases between waking and sleeping (e.g., hypnogogic and hypnopompic states). Variations in metacognitive abilities: There are multiple dimensions of lucidity, involving the emergence in dreaming of high-level mental abilities we usually associate with waking consciousness, such as reflecting, evaluating, doubting, judging, and planning. These kinds of complex mental abilities are known as “metacognition,” or “thinking about thinking.” The dream world turns out to include a much wider variety of metacognitive activities than Western psychologists have long assumed. Neurologically plausible: We don’t know for sure how exactly lucid dreaming maps onto the various cycles of brain activity during sleep. However, we do know that many brain systems crucial to waking consciousness are also prominent in sleep, particularly in REM sleep. This includes activities in the prefrontal cortex, rising levels of neurotransmitters like acetylcholine, and electrical bursts in the alpha and beta/gamma frequencies. The presence in sleep of these neural factors, so crucial to consciousness in waking, makes it plausible that, given the right circumstances, a high degree of self-awareness could emerge within the sleep state. Comparable to meditation: There is considerable overlap in the neurological and behavioral features of lucid dreaming and various kinds of meditation. 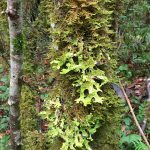 Both involve high levels of attention, arousal, and internal focus, and in both the body remains motionless and detached from the external world. So the discussion comes full circle, as modern brain scanning technologies are validating experiences that ancient practitioners have long recognized and actively cultivated. This is a dramatic claim, even though it’s couched in academic language. The upper limits of metacognitive dreaming are set by the individual’s mental framework, not by the capacities of dreaming itself. These limits can be changed if the mental framework is changed. People can have more lucidity in their dreams if they strive to do so, through greater attention (learning how to monitor consciousness) and intention (learning how to concentrate one’s mental energies). Hi-tech gizmos can help, but ancient and modern research agrees that the key to increasing lucidity in dreaming is the combined force of attention and intention. In this context, it’s worth mentioning Ryan Hurd’s lucid dreaming talismans, which are low-tech but quite effective aids to enhancing lucid dreaming. The talismans are aesthetically attractive mnemonic devices designed to apply the same basic principles of attention and intention advocated by Purcell and her colleagues. Thus begins the story of Ofelia (Ivana Baquero), a 12-year old girl whose mother Carmen (Ariadna Gil) has remarried after the death of Ofelia’s father. Her new husband is Captain Vidal (Sergi Lopez), the cruel commander of an army unit tasked with hunting down the last few resistance fighters hiding in the mountains after the Spanish Civil War. Carmen is pregnant with Captain Vidal’s child, and Ofelia quickly realizes that her step-father cares nothing for her or her mother, only the baby. Ofelia’s entry into the labyrinthine world of Pan (Doug Jones) is driven by a desperate need to find some way of fighting against the overwhelming horror of her waking world. Lucid dreams have more references to awareness, effort, flying, fantastic beings, and physical aggression, and fewer references to colors, speech, family characters, and friendly social interactions. 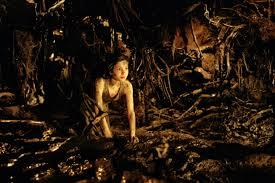 Ofelia’s journeys into the labyrinth are distinguished from the rest of the film by many of these same features. She is aware of things no one else can see. She makes tremendous efforts to succeed in the tasks set her by the Faun. Her first encounter with the fantastic beings of the labyrinth is a winged fairy, a flying agent of Pan’s who accompanies and guides Ofelia wherever she goes. Her fantasies are filled with physical aggression (although sadly no more so than her waking world). Intriguingly, the fantasy sequences have much less color than the waking world scenes; there’s little emphasis in the labyrinth on chromatic perception. There’s also less speech, no other family characters (until the end), and very few friendly interactions. All in all, very much like the experience of a lucid dream. When Ofelia enters the labyrinth, she enters a world that’s closely akin to the realm of conscious dreaming. As it turns out, there is a good biographical reason for this. 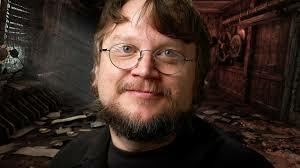 In interviews he gave at the time of the film’s release, del Toro described his own childhood experiences of “lucid nightmares” in which he saw the figure of the Faun stepping out from behind a dresser at midnight. He had recurrent dreams of many kinds of monsters, but the Faun made an especially horrifying impact on him. 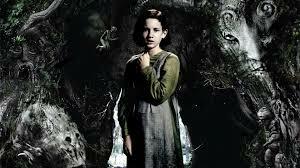 In the film del Toro aims to recreate this powerful fantasy figure who stalked his own personal nightmares. Q: Did you, in fact, have such nightmares or waking nightmares? 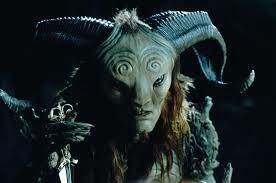 Q: Do you remember, did your faun look anything like the faun in the film? GDT: Absolutely. I was trying to recreate him. When del Toro referred to these dreams as “lucid” he seemed to mean they had all the qualities of waking reality, and yet he knew they were dreams because of the appearance of Faun or other creatures. It’s not that he was dreaming, then realized he was awake within the dream; rather, he felt like he was awake, while also realizing he must be dreaming. Both are paths to lucidity, but the latter can be much more frightening and existentially unsettling. This helps to explain at least some of the uncanny impact of “Pan’s Labyrinth.” Guillermo del Toro knows from deep personal experience the feelings of dread and terror associated with the darker path into lucidity. 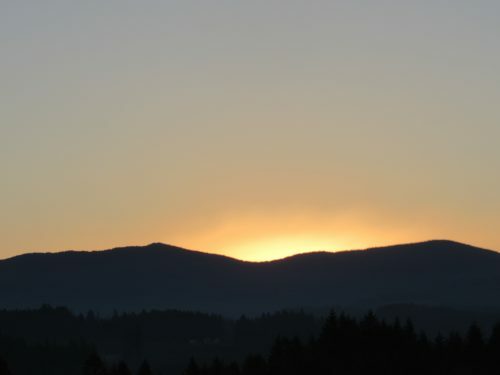 He knows that if you are already dreaming and then become self-aware, your conscious self feels powerful and expanded. But if you realize what you thought was waking reality is actually a dream, that’s a much more threatening mode of lucidity, a lucidity of weakness, vulnerability, and deception. A lucidity of horror. 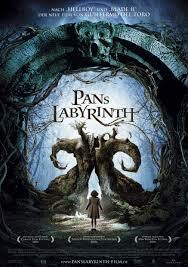 In “Pan’s Labyrinth” del Toro inverts the typical path into conscious dreaming and thrusts Ofelia and the audience into shadowy, oozing realms of oneiric fantasy few other directors have had the daring or talent to explore. 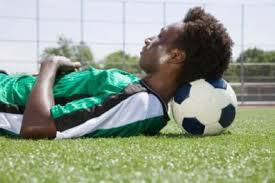 A recently published study in the Journal of Sports Sciences adds new evidence to the idea that physical skills in waking life can be improved by practicing those skills in lucid dreaming. Although the study was small and needs to be replicated, the implications of its findings are potentially enormous for a new mind/body approach to sports training and peak athletic performance. The study was conducted by German psychologists Tadas Stumbrys, Daniel Erlacher, and Michael Schredl. This team has an excellent background in sports science, sleep laboratory research, and lucid dreaming experiments. Their strong history of high-quality scholarship lends credibility to their claims. The premise of their study is that a mental simulation of physical behavior is neurologically the same as a “real” enactment of that behavior, with the difference that the former does not extend to bodily movement, while the latter does. As Stumbrys and his colleagues put it, “covert actions are actual actions, except for the fact that they are not executed.” If this is true, as a great deal of neuroscientific evidence indicates it is, then practicing an action “covertly” should have measurable benefits when the action is later performed “openly.” This is the hypothesis that Stumbrys and his colleagues put to the test. They recruited 68 participants (32 male, 36 female) who followed an online program that trained them in a sequential finger-tapping task on a computer keyboard. The participants were then separated into four groups with different instructions about how to practice the finger-tapping task: 1) actual physical practice, 2) mental practice while awake, 3) mental practice while lucid dreaming, and 4) no practice (the control group). Compared to the control group, all three other groups, including the lucid dreaming group, displayed significant improvements in a follow-up performance of the task after practicing. The study was not big enough to say if lucid dreaming practice is better or worse than other forms of practice. But the results clearly showed that practice in lucid dreaming does have real performance benefits that are at least comparable to the benefits gained from other practice modes. Given the power of dreams to simulate reality with amazing intensity and accuracy, the possibilities for further development of this approach seem wide open. In light of these findings, several questions immediately present themselves. What kinds of physical skills are most benefited by lucid dreaming practice? How deep and long-lasting are the improvements? What are the best methods to teach people to have lucid dreams in the first place? 4) Giving athletes at all levels a powerful psychological means of focusing their minds for optimal game-day performance.